It’s never easy to live up to the world’s expectations as a child. It’s even hard when your parent is a famous athlete. From the first second a young athlete hits the court, field, or mound, the public watches, expecting them to be better than their mother or father. For some, this is easy. There’s no denying Peyton and Eli Manning surpassed what Archie Manning did in the NFL. Both sons are sure-fire Hall of Famers. Archie, however, is not. 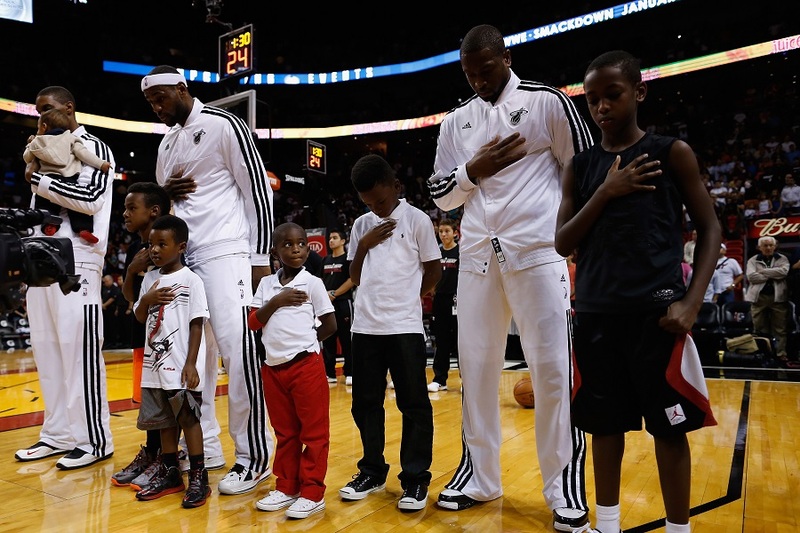 Check out this list of young sports stars following in their parent’s footsteps. You’ll never believe what Randall Cunningham’s daughter is excelling at! 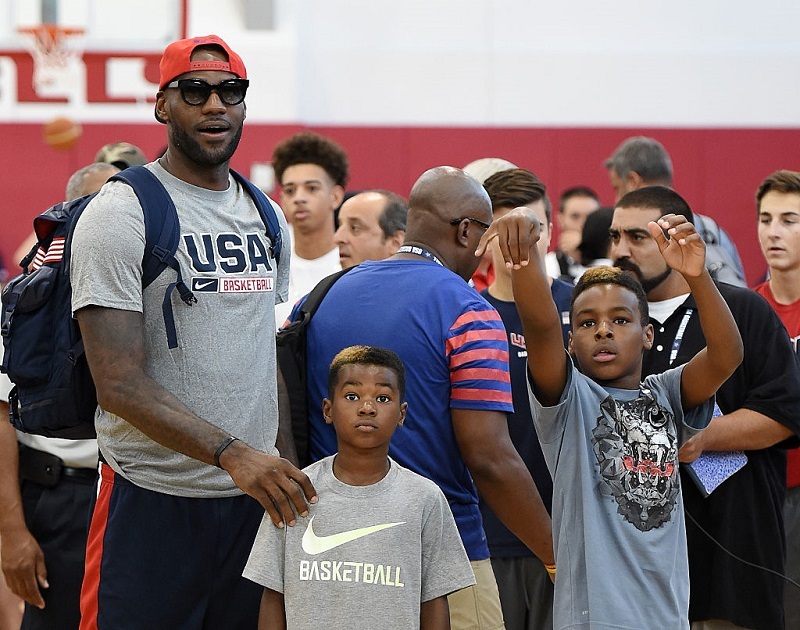 LeBron James Jr. is only 13 years old, but it’s easy to see why colleges are already lining up to offer him scholarships. Showing off his talent to knock down three-pointers at the 2018 Lucas All-Star Weekend in Houston, LeBron James has already declared his son a better shooter than himself. James isn’t the only one praising his “mini-me” either. Houston Rockets star Chris Paul has also jumped on the bandwagon. He looked absolutely stunned sitting courtside during James Jr’s dazzling display. Seven years away from being eligible for the NBA, there’s a chance that father and son could play together one day. Even the slight possibility has us hoping it will! Shareef O’Neal has big shoes to fill when it comes to following in the footsteps of his 6’8” father. Entering his first year of college, the son of Shaq might be smaller than his father, but he is every bit as talented. 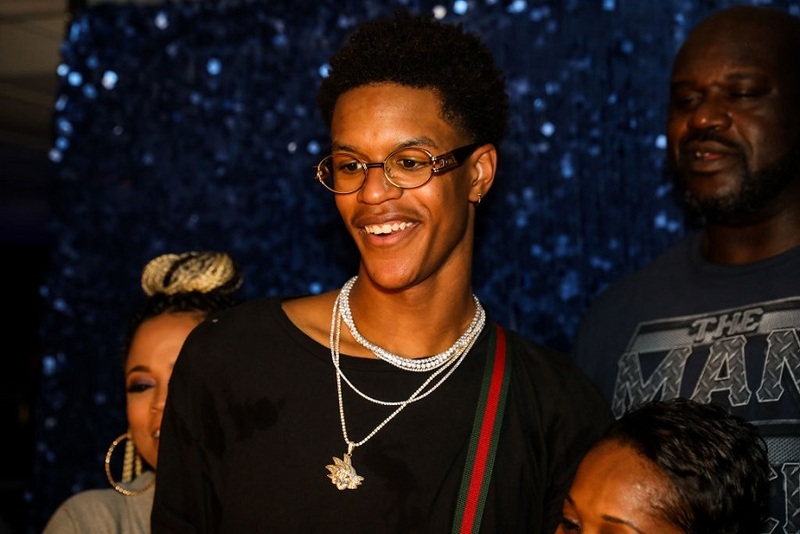 Named the number 33 overall recruit coming out of high school, Shareef initially committed to becoming an Arizona State Wildcat. Recently, however, O’Neal has become a college free-agent, de-committing from Arizona after head coach Sean Miller was placed under investigation for paying recruits. The scandal did not sit well with Shareef, who thanked Arizona’s coaches for their efforts and is now looking for a scandal-free home that will ensure playing time. Bol Bol won’t have to worry about finding a new school anytime soon! The son of NBA legend Manute Bol, Bol Bol literally had colleges lining up for his services. Listed at 7’2” and 220 pounds coming out of high school, it’s not very hard to see why. Height is not the only advantage Bol Bol has though. According to ESPN, he is the fourth best high school player in the nation. In fact, before committing and signing with Oregon, he had offers from Arizona, Creighton, Kansas, Kentucky, New Mexico State, St. John’s, UCLA, and USC. Maybe one of those colleges will open a spot for Shareef O’Neal! 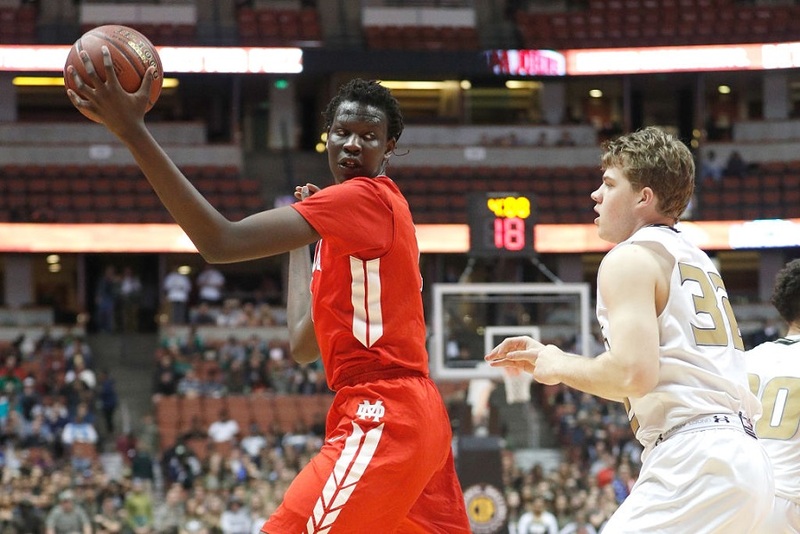 Oregon will have to enjoy Bol Bol while they can. With only one year of college necessary before entering the NBA Draft, it’s hard to imagine the extremely tall and talented athlete will stay in the Pacific Northwest for long. During his Hall of Fame NFL career, Randy Moss had a reputation for avoiding contact. The tall but lanky wide receiver preferred to rely on his speed to make defenders miss. The same cannot be said for his 247-pound mountain of a son, Thaddeus Moss. 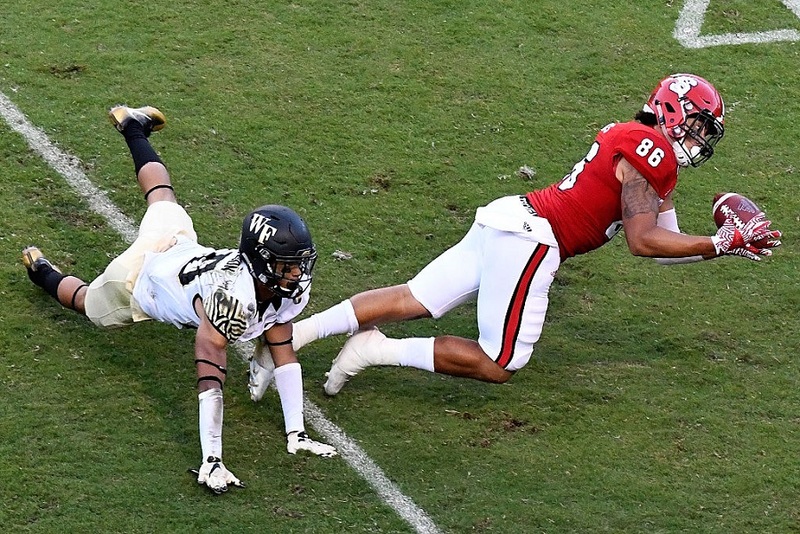 A top recruit out of high school, the tight end committed to NC State in 2016. Unfortunately, Thaddeus Moss did not see a lot of action as a freshman, only catching six passes and barely seeing the field. Frustrated and hungry to show everyone he could live up to his father’s expectations, Moss transferred to LSU, where he now makes his home until he can enter the NFL. E.J. 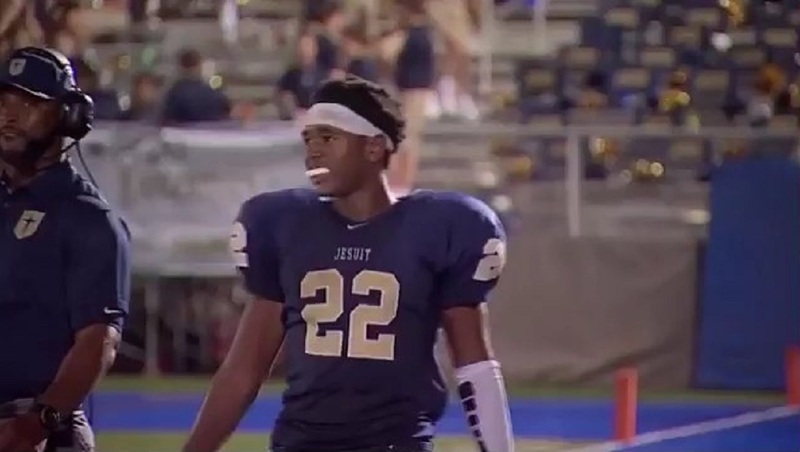 Smith is following directly in his father’s footsteps, playing running back for Jesuit Dallas High School. He even wears the number 22 in Emmitt’s honor! As a sophomore, E.J. 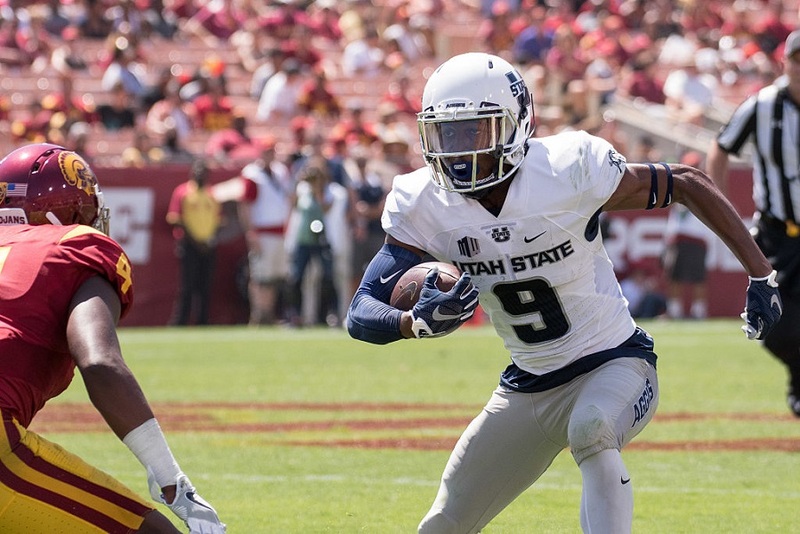 Smith amassed over 2,000 yards from scrimmage in just 12 games. There is no question he is making Emmitt Smith very proud. And, apparently, very nervous. Asked about what it’s like to watch his son run, Emmitt once said it gives him more butterflies than he ever got during his NFL career. That’s hard to imagine considering Smith won three Super-Bowls with the Cowboys, is the second leading rusher in NFL history and was a first ballot Hall of Famer! Next, you won’t believe what former quarterback’s daughter is proving football can be a woman’s game too! 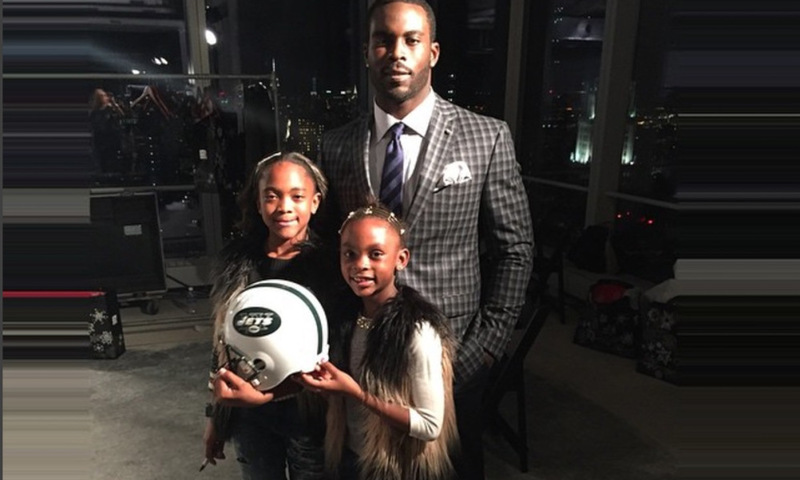 Jada Vick is the middle school daughter of former NFL quarterback Michael Vick. Despite having a controversy-filled career, there is no controversy regarding the talent of Jada. Currently turning heads on her middle school basketball team, Jada has made it her mission to prove she can also play high school flag-football. So far her mission is a success! Despite being six years younger than her flag football teammates, Jada Vick is the starting quarterback and poised to become the next big athlete in South Florida. Hopefully one day she gets a chance to play co-ed and really prove how amazing she is! Like Shareef O’Neal, Scotty Pippen Jr. has big shoes to fill when it comes to his lineage. Don’t let the spelling fool you, he is indeed the son of NBA legend Scottie Pippen. He has also already won a number of high school accolades and tournament championships. 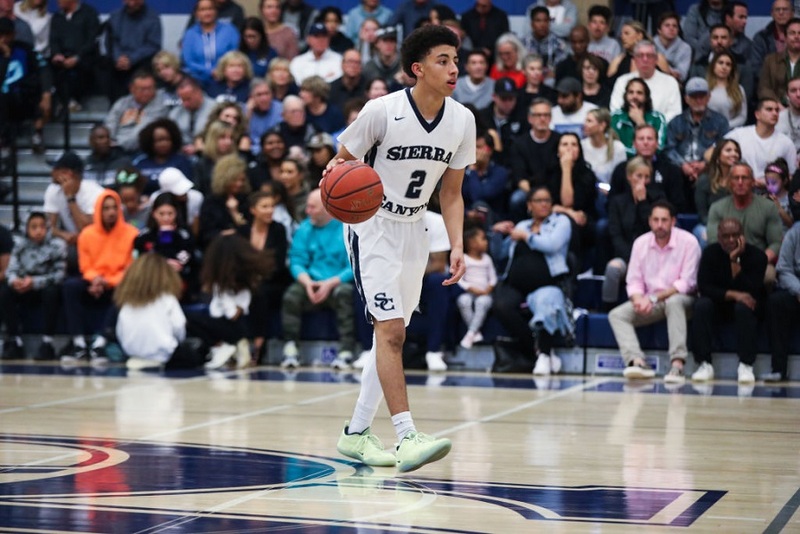 In fact, entering his senior year of high school, there is only one big dream Scotty Pippen Jr. hopes to make a reality. That dream, of course, is to get his first scholarship offer. Specifically, Pippen Jr. hopes to be recruited by UCLA, which is close to home and one of the top programs in the nation. Not eligible for his freshmen year of college until 2020, high school football star quarterback Max Johnson already has a scholarship offer from Florida State University, among others. 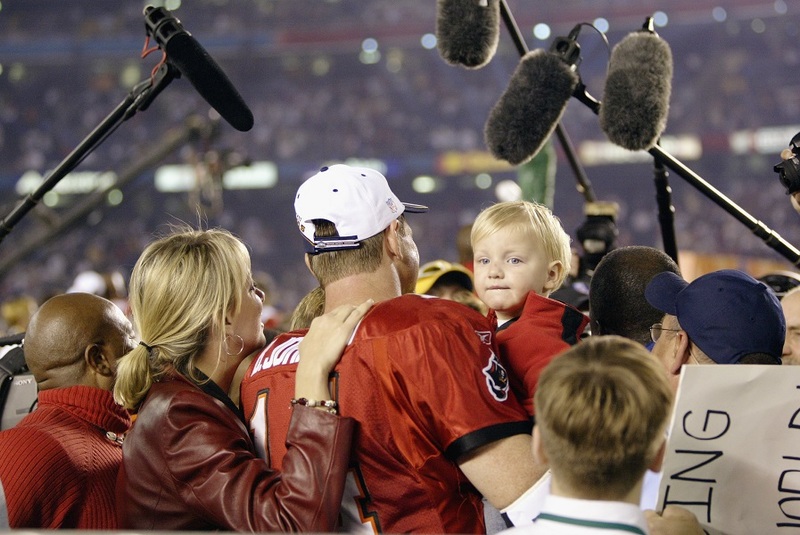 The son of Super Bowl-winning quarterback Brad Johnson, Max has a lot to live up to. He’s come a long way since the toddler you see pictured above! Our next athlete uses the skills her dad gave her to succeed in another sport entirely! The daughter of NFL quarterback Randall Cunningham, Vashti Cunningham might not play football, but that doesn’t mean she has nothing in common with her father. During his days with the Minnesota Vikings and Philadelphia Eagles, Randall Cunningham revolutionized the quarterback position with his speed and agility. It turns out he passed that amazing gift on to Vashti. 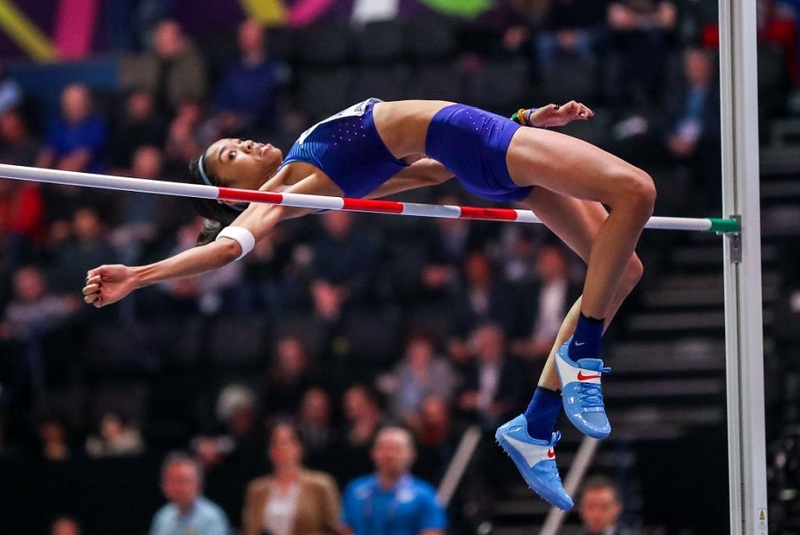 Falling in love with track and field, Vashti’s name became synonymous with the sport after she placed first in the high jump event during the 2015 Pan American Junior Championships. She followed that up in 2016 placing first in the World Indoor Championships and competing in the Olympics the same year. Standing 6’4″ was not a life choice Charity Bradley was allowed to make. The daughter of 7’6″ former NBA star Shawn Bradley, she knows she never had a chance to be “normal,” but it did allow her to be a great athlete. 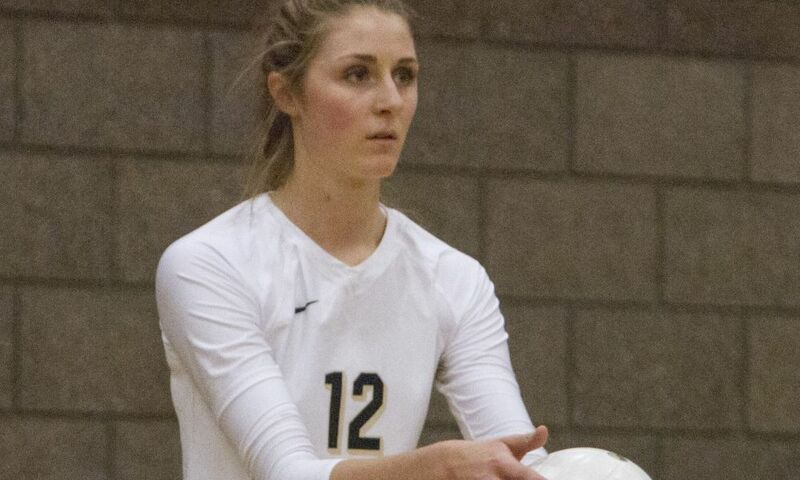 Falling in love with Volleyball, Charity led her high school team to a 22-8 record her junior season, breaking the school “digs” record in the process. Coming out of high school, Charity Bradley’s overall team record was 43-15. She was heavily recruited by colleges her senior year. In the end, she committed all her height and athleticism to Washington State University, where she will start, and star, in the fall of 2018. Zaire Wade is the 15-year-old son of NBA star Dwayne Wade and is already turning heads with the basketball community. Standing 6’2″ with room to grow, the young Wade already looks comfortable on the court after a video surfaced of him dunking at the Q, decked out in Cavs’ gear. In the very impressive video, Zaire Wade dribbles into the paint, bounces the ball off the glass backboard, jumps to catch the ball and finishes with a dunk. It’s worth repeating that he is only 15 years old. We can’t wait to see what happens when he and LeBron James Jr. join forces to take the NBA by storm! Vlad Guerrero played 16 MLB seasons, finishing his career with a .318 batting average and 449 home runs. His son, Vlad Guerrero Jr. hopes to break that record one day. 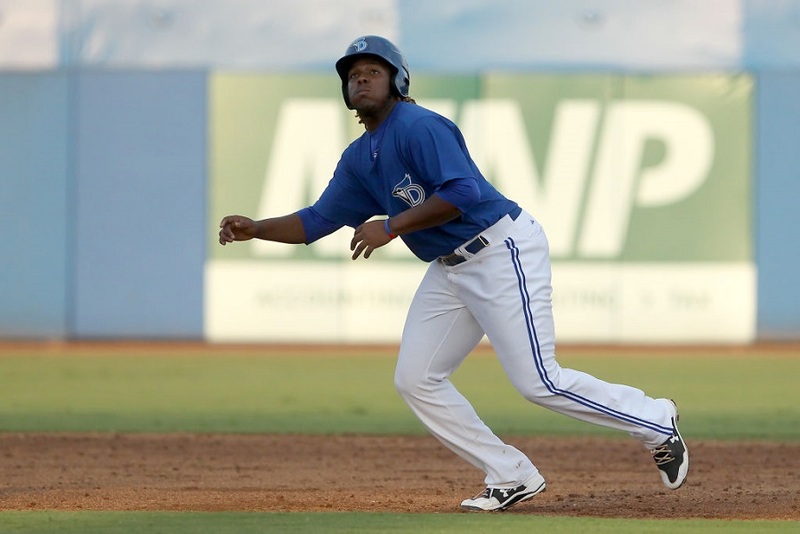 The 19-year-old of the former MLB star is currently pushing his way through the Toronto Blue Jays farm system and could be called up for his big league debut before his 20th birthday. Currently listed at the top third base prospect in all of baseball, it’s just a matter of time before Guerrero Jr. joins ranks with Alex Bregman, Jake Lamb, Manny Machado, and Kris Bryant as one of the games corner infielders. Our next athlete could be great if only a college would give him a chance. During his NBA career, Ron Artest II was better known as Metta World Peace. 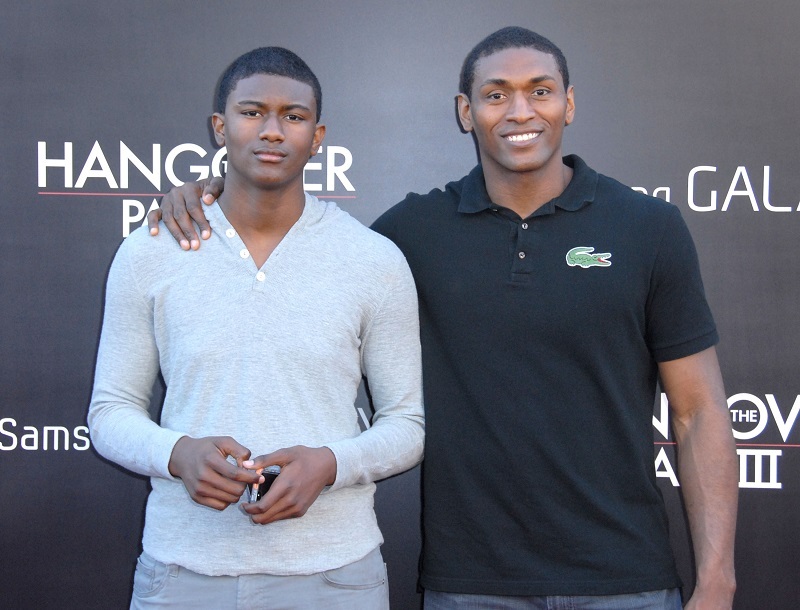 His son, Ron Artest III isn’t considering a name change. He is considering following his father’s footsteps and joining the NBA. He just has to graduate high school and play for one year in college. To this point, the challenge has not been easy for Artest III. Currently a high school senior in Beverly Hills, he is already the size of an NBA player (6’7″ and 215 pounds), he just needs to polish his game. Unlike the other basketball babies on this list, Artest III has yet to receive an offer from a college and may have to go to community college, or play overseas, first. 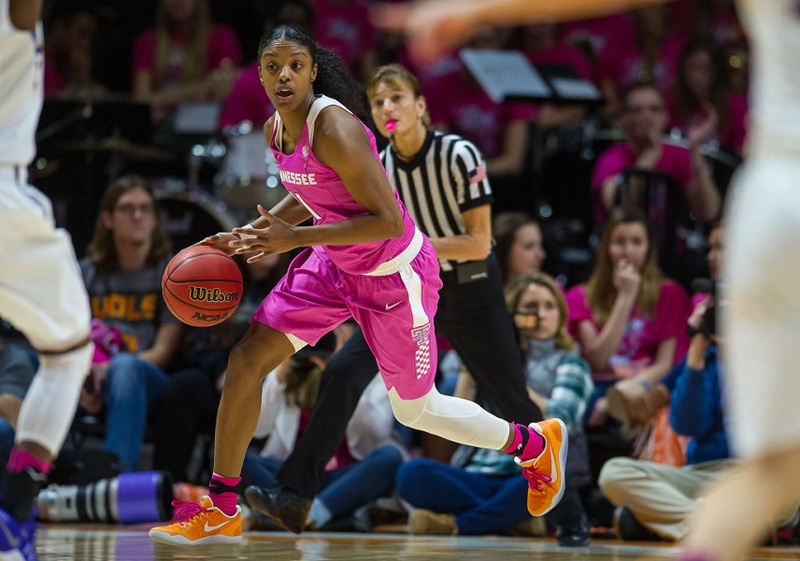 The daughter of former MLB player Delino DeShields, Diamond Deshields is carving a path all her own in women’s basketball. A star for one season playing for Tennesee, DeShields averaged 17.4 points per game in 2017. The Volunteers were eliminated in the second round of the NCAA tournament, forcing Diamond to make a big life decision. 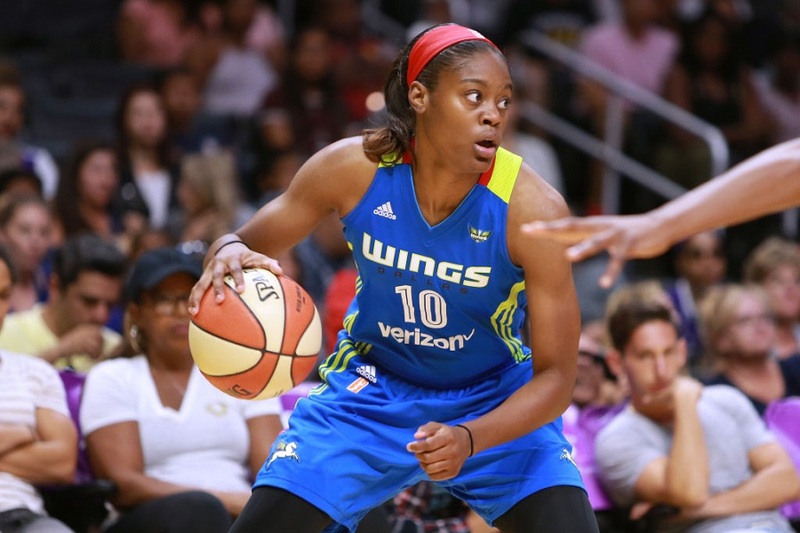 After the season was over, DeShields announced she would be leaving Tenessee to pursue a professional career in Turkey after signing a contract with Cukurova. The move came after the WNBA declared she would have to play one more year in college to be eligible for the draft. Clearly, the league’s decision didn’t sit well with the now former college star. Hopefully, she gets her chance to play for the WNBA one day. 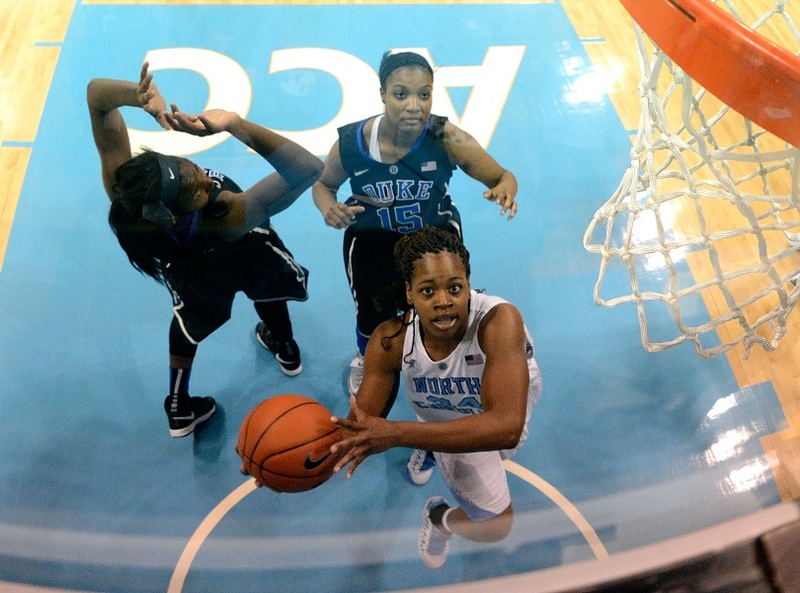 Xylina McDaniel is one of the top women’s college basketball players in the nation. Her last season at North Carolina she became the 36th athlete in school history to reach 1,000 points, made the Wooden Award Preseason Top 30 List, and was named a Naismith Trophy Watch List Candidate. If her last two seasons had not been cut short by injury, who knows what awards she might have won to add to her trophy case. With all the accolades coming her way, it is not surprising that the daughter of former NBA star Xavier McDaniel has already found representation. Xylina signed with Global-1 Sports this past college season as she begins a whirlwind sprint to get drafted into the WNBA. Daughter of Golden State Warrior JaVale McGee, Imani Boyette may not share her father’s namesake, but she does share his love of basketball. 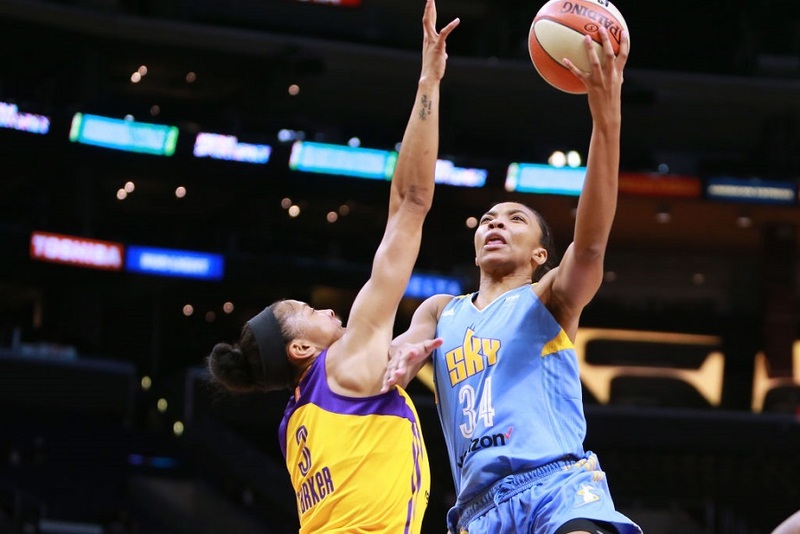 A WNBA star in her own right, Boyette was named to the 2016 WNBA All-Rookie Team. Her team, the Chicago Sky, made the playoffs that season and in her first postseason game she set the rookie single-game block record with 6. The Sky traded Boyette to the Atlanta Dream a season later, where she averaged 4.1 points per game and 0.8 blocks per game. The Dream went 12-22 and missed the playoffs. To further hone her craft. Boyette also plays overseas in China. You won’t see our next athlete play for another decade, but he was too good to not include on this list! Santi Cazorla plays English Premiere League Soccer for Arsenal. The team is always a favorite to win the league, and after watching Santi’s seven-year-old son Enzo play, it’s easy to see why. They recruit early! Enzo, after an impressive display in 2016 may have already stamped his ticket to the big show. 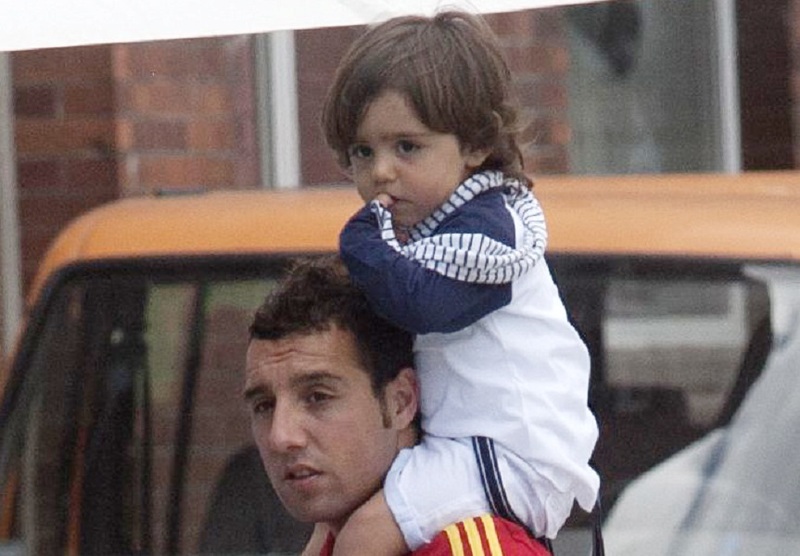 After Santi Cazorla finished playing a match that year, he stayed on the pitch and began playing soccer with a then five-year-old Enzo. The very young future star dribbled the ball with ease, even chipping it over Joel Campbell, who makes a soft attempt to tackle the youngster. Believe the hype, professional soccer is in this kid’s future! Kaela Davis was drafted 10th overall by the Dallas Wings in the 2017 WNBA Draft. In order to enter the draft early, the University of South Carolina star had to forgo her final season of college eligibility. After averaging 12.8 points per game and 3.9 rebounds per game, it appears Davis made the right choice. Her rookie season she made the WNBA All-Rookie Team, making her father, Antonio Davis, one proud papa. Antonio Davis was drafted 45th overall by the Indiana Pacers in the 1990 NBA Draft and was named an NBA All-Star in 2001. Over his career, he averaged 10 points per game and 7.5 rebounds per game. It’s clear basketball runs through the veins of this family! Rayshad Lewis plays wide receiver for Maryland and we’re guessing his father is pretty happy about it. The reason is simple, Rayshad is the son of NFL Hall of Famer Ray Lewis, who spent his entire career with the Baltimore Ravens as a linebacker. We’re guessing Rayshad “broke” Ray’s ankles a few times in the backyard running patterns. Linebackers aren’t known for their coverage skills. It will be a few years before Ray can see his son break defensive back’s ankles in the NFL, though. Having transferred from Utah to Maryland, Rayshad Lewis was forced to sit out a year and still needs to complete three more years of college football before he can enter the draft. Our next athlete has one of the most famous father’s of all, but he’s not using that as an excuse. Jerry Rice is considered the greatest wide receiver to ever play. Spending almost his entire career with the San Francisco 49ers, Rice Sr. holds just about every receiving record in the book. 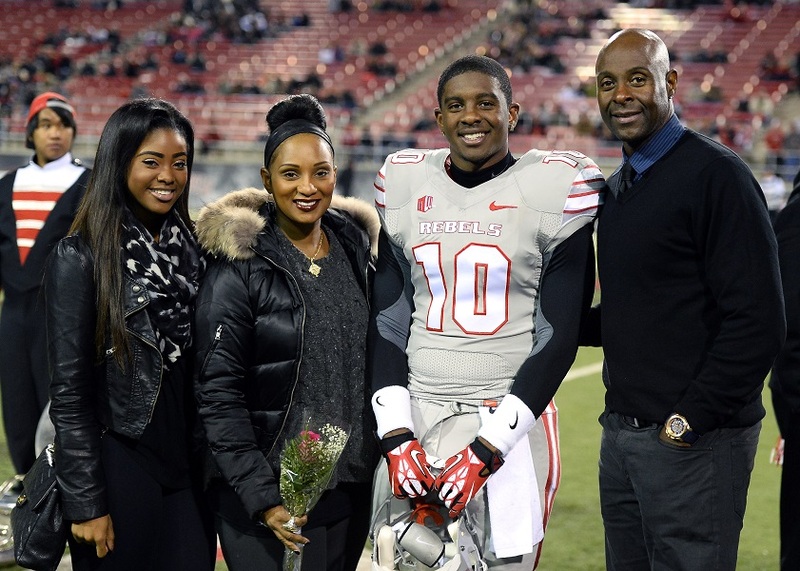 His son, Jerry Rice Jr., however, is struggling just to make a team. Rice Jr. went undrafted out of UNLV in 2014. He went on to try out for the Baltimore Ravens, and then the 49ers. Despite some Bay Area publicity, the team that housed his father did not sign him. He eventually signed with the Washington Redskins but was waived two days later. His last professional appearance came in 2016 with the Montreal Alouettes of the Canadian Football League.